AGC Lighting is a progressive company specializing in manufacturing high power LED luminaires for industrial and commercial applications. Since the launch of HiCloud series LED high bay lights in 2014, AGC Lighting has established its position in the lighting industry by addressing the market's need for performance, energy efficiency, aesthetics, and value. The culture of excellence continues with the introduction of HiPro, HiStar, HiCap, HiClean Plus, HiSky, HiEco, HiCool high bay lights to accommodate diversified market niches. Together with HiRack, HiPanel, HiFly, HiSlim, HiLink, HiSpace, HiUni linear lighting fixtures, AGC Lighting creates a highly focused portfolio of high bay lighting systems to meet the challenges and demands of commercial, retail, industrial and institutional lighting projects. By consolidating their impressive design, development and manufacturing capabilities, AGC expanded their product portfolio into the outdoor lighting market by adding LED street lights, LED flood lights and wall packs to their product lines for further growth and value creation. The company's core competencies include 1) unparalleled industry design that goes beyond the creation of stylish lighting products; 2) commitment to the quality and reliability with strong in-house capabilities to provide packaged lighting solutions; 3) professional and innovative marketing strategies that other Chinese manufacturers fall too far behind; and 4) customer-centered sales support and attentive after-sales services. 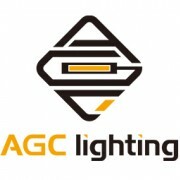 AGC Lighting was invested by Shenzhen-based Up-shine Lighting Co., Limited with a registered capital of RMB40,000,000.00. The team is led by Simon Su, a highly experienced lighting professional. This page was built and maintained by the team at manufacturer.lighting, a premier industry portal that truly leverages professional industry expertise and integrated internet marketing strategies [about us]. Please contact us if you're associated with Shenzhen AGC Lighting Co., Ltd. and are authorized to claim this company listing. Upon upgrading your account you'll have a full-featured membersite to publish and promote your products. We're devoted to making you stand out in a crowded market by delivering your business value and industry competitiveness in front of the global business audience, instead of compelling you to be an online vendor that competes desperately on price.